Join us at the Carliol House Co-Work Space for an evening Social to welcome artist in residence, Caitlin Merrett King who will be doing the Practice makes Practice – Residency at NewBridge throughout March. Caitlin will be giving a short introduction to her project, and drinks and snacks will be provided. During the residency Caitlin would like to work closely with studio and associate members to record a new podcast, exploring methods of collaboration, the political nature of working with friends, friendship as emotional and feminised labour, and how we exercise care and love within art practice. The podcast will then serve as an informal archive that will aim to be a useful tool for experimenting for NewBridge at that time and in the future. Caitlin is interested in giving voice to the inner workings of NewBridge, friendships and current collaborations, with a view to developing new ones, and discussing how the organisation is currently working together. This residency forms part of Practice makes Practice, an artist development programme run by artists for artists based at The NewBridge Project. During the residency, Caitlin will input into the wider Practice makes Practice programme through instigating events, workshops or talks informed by her practice, feeding into her own professional development and that of our members. Caitlin Merrett King is an artist and curator who uses collaboration as the initial point of departure for her expanded artistic and curatorial practices. Through a variety of different methods Caitlin considers how her work a collaboration between herself and her influences, both directly and indirectly. 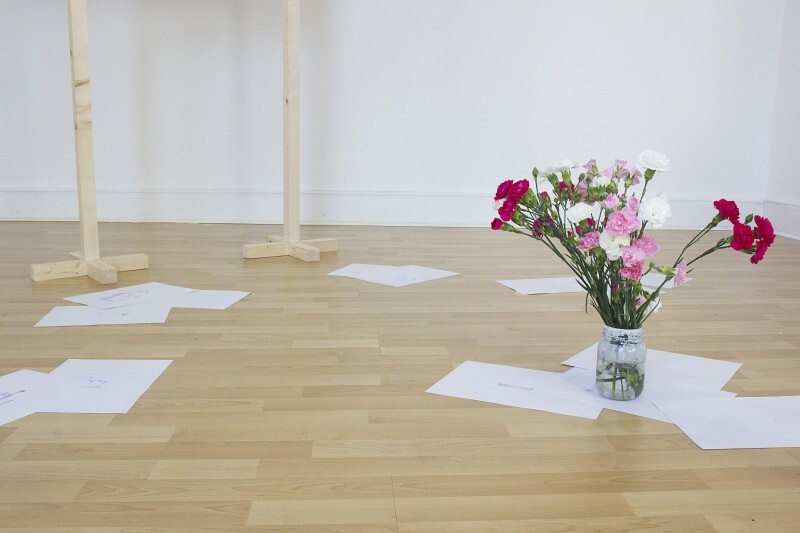 Image Credit: Flowers for Carrie, Drawings for Jamie, Spare Room Residency, Liverpool, 2017.